This weekend marks the 25th anniversary of the Vancouver Dragon Boat festival, the biggest festival of its type in North America. Over 100,000 people will watch 180 teams racing to the finish. Dragon boating started over 2000 years ago in China as a fertility ritual held during summer solstice. Today there are dragon boat races across the globe, including North America, Europe, and of course Asia. This weekend marks the 25th anniversary of the Vancouver Dragon Boat festival, the biggest festival of its type in North America. Over 100,000 people will watch 180 teams racing to the finish. Dragon boating started over 2000 years ago in China as a fertility ritual held during summer solstice. 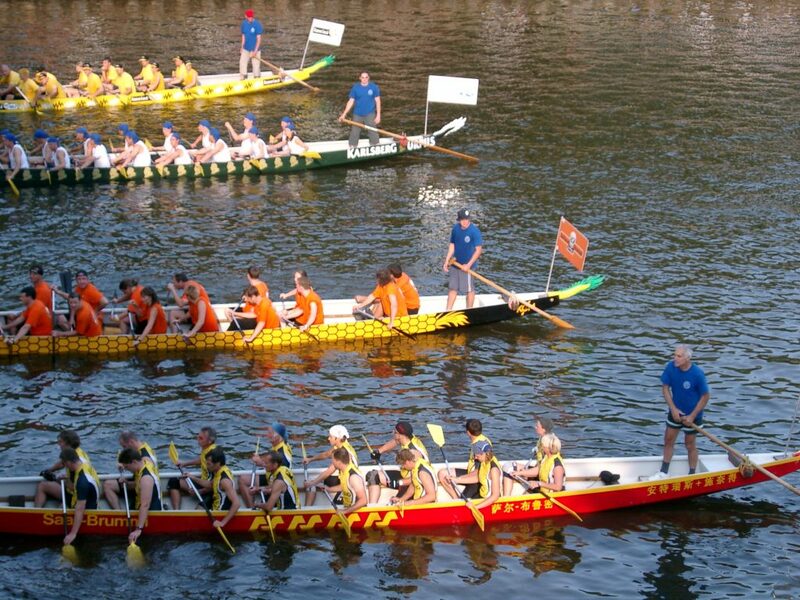 Today there are dragon boat races across the globe, including North America, Europe, and of course Asia. Dragon boating promotes team work and discipline as the crew typically consists of 22 people: 10 pairs of paddlers, a caller at the front of the boat and a steerer at the rear. 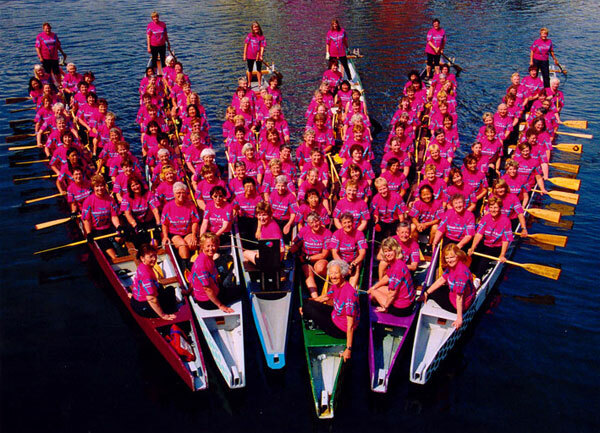 In Vancouver, one of the most colorful and long-paddling teams, A Breast In A Boat, is made up of breast cancer survivors. In 1996 Dr. Don Mackenzie, professor of Kineseology at the University of British Columbia, posted an ad looking for breast cancer survivors to participate in an exercise study. At the time, the common understanding was that women who had treatment for breast cancer should refrain from upper body exercise to avoid the risk of developing chronic lymphedema which is a permanent and sometimes incapacitating swelling of the arm that can be caused by damage to or removal of the lymph nodes, which often occurs in cancer treatment. Although this was the wisdom of the time, there was actually no research to support the fear. Dr. Mackenzie’s studies in the area of exercise rehabilitation led him to believe that the current thinking might be wrong. Dragon boating is mainly a core and upper body workout, so it provided the perfect way to test the theory. Dr. Mackenzie formed a team in February 1996, and the team named itself Abreast in a Boat. How important is the Abreast in a Boat project? It is an approach to promoting health and raising breast cancer awareness that is driven by women with the disease. It reaches out to other women and offers them a message of hope and support. It is helping to change attitudes toward “life after breast cancer,” and it encourages women to lead full and active lives. It is making a difference. What’s interesting about this study is that 15 years later, there is still not enough widespread evidence for the value of physical therapy after cancer treatment, in particular for recovery of muscle weakness from radiation. A lot more could be done to educate on both the value and the necessity for physical therapy to help patients gain back strength, abilities, and hope. Today there are more than 116 breast cancer survivor dragon boat teams worldwide including 41 in Canada, 29 in Australia, and 24 in the United States. So, if you’re out watching in Vancouver or the rest of the globe this weekend, cheer a bit harder for the ladies in pink. They have paddled farther than you’ll know.